Wal-Mart is amongst the biggest private employers in the world, with a conspicuous presence in several countries, and since 2012, ExpertRating has been the exclusive online pre-employment testing partner for Walmart, India. Walmart—owing to its gigantic scale of operations—had a challenging requirement: a testing system that could streamline their hiring process, with a capacity of handling about 10,000 tests per day. This was required to serve as a first-level filter to identify candidates who are potentially fit for hiring, and as a result, a robust, multi-lingual testing platform was devised to meet Walmart’s requirements, to assist it perform its massive pan-India operations with sufficient ease and accuracy. The ExpertRating team, in consultation with Walmart's global HR team based in Bentonville, US, built the testing solution from scratch—accurately matching Walmart’s requirements. The system was designed with multi-tiered administration so that important HR activities could be controlled from Bentonville, US while the on-the-ground testing could be passed on to specific country-based HR managers. Walmart currently uses this testing system pan-India. The Best Price stores offer best prices with unmatched convenience, choice, quality and hygiene—their mission being “Enabling businesses to prosper…every single member”. In order to enter and purchase from Best Price stores, it is mandatory to become a member, and a member can belong to different business categories such as resellers; offices and institutions; and hotels, restaurants and caterers. 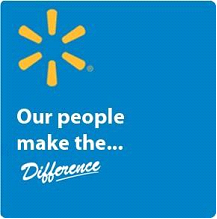 As Wal-Mart’s mission states, the company aims to run operations in a way that help and support people, sustain the environment and build business for Walmart—leading people to live better lives. Such decisions as where Wal-Mart opens its stores, how it moves its products and which products it buys have an impact on the growth of the company, industry as well as the country of its operations. Such decisions as where Wal-Mart opens its stores, how it moves its products and which products it buys have an impact on the growth of the company, industry as well as the country of its operations. As Ganesh and his team planned to expand the hiring process pan-India, which required hiring in thousands, a need was felt to streamline the human resources processes to create a first-level filter to identify candidates who are potentially fit for hiring, by allowing them to register themselves, followed by an assessment test. A well-thought-out and planned effort was spent on designing knowledge and aptitude assessments for this purpose. Furthermore, a need was felt for a content management system to publish and manage job openings and hiring schedules on the organization Website. Level I testing: This was required for “off-location” tests for recruiting fresh talent. Given the unique challenges associated with off-location testing, these tests were to be held using ExpertRating’s Live Proctor technology. Level II testing: This was required for “on location” tests for refilling positions left vacant because of employee exits. With due diligence, a solution was planned and developed to meet all requirements of Walmart. Level I testing, which pertains to off-location testing for recruiting fresh talent, faces a peculiar problem: the difficulty of preventing job applicants/candidates, especially in far-flung testing locations, from using unfair means to clear their online assessment tests. This concern was addressed by using the ExpertRating Exam Browser with the LiveProctor feature, which captures images of a candidate at regular intervals to definitively establish their identity and identify the use of any unfair means while taking the assessment test. .
Level 2 testing pertains to on-location tests for refilling positions left vacant because of employee exits. Since this form of testing is employed for relatively fewer candidates, and there is the ease of manual proctoring, the ExpertRating Exam Browser and LiveProctor features were not required for Level 2 testing. Instead 'Any Browser' testing was proposed, which allowed the test to be taken using any popular browser such as IE, Firefox and Chrome, on any operating system. Online skill tests and employee assessments are beset with the problematic possibility of candidates accessing the Internet to procure correct answers to questions. In order to tackle this possible situation, the test taker will be required to download a small executable application from the ExpertRating Website. Upon execution, the application will start a browser window, in which the test will run, and the user cannot close the browser window or minimize it. Moreover, they cannot navigate to any other URL or start any other application on the computer. After completing the test, the ExpertRating Exam Browser will close automatically. This system effectively blocks out all possible unfair online means for a candidate. In addition to controlling the actions of the user, the ExpertRating Exam Browser will also include the ExpertRating LiveProctor functionality, which is a remote proctoring solution that uses a Webcam that is attached to the computer and takes screenshots of the test taker at periodic intervals. This helps to confirm the identity of the test taker and to keep an eye on him/her as s/he takes the test. The ExpertRating Exam Browser with the LiveProctor feature makes it virtually impossible for anyone to use unfair online means during the test and also provides verifiable evidence of the test taker's identity. 1. An evaluation system capable of handling 10,000 testing events per day. 2. A multi-lingual test taking interface which enabling the candidate to take the test in various Indian languages. 4. A provision for creating new tests and adding/removing questions that would remain entirely with Walmart personnel. 5. A hosted Solution under the SaaS model with Windows Server 2008 operating system, SQL Server 2008 database compatible with all web browsers. ExpertRating provides full off-location technical and training support under the SaaS model. ExpertRating offers support from 8AM to 8PM on all working days and special support on weekends and off times as per Walmart's requirements. Routine server downtimes are aligned with Walmart's off-peak hours. 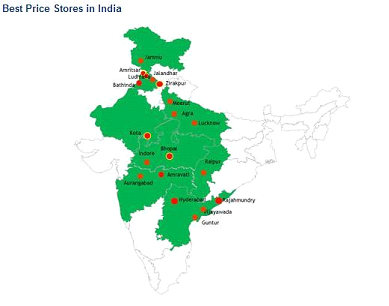 In April 2014, Walmart announced plans to open 50 more wholesale outlets in India and start online operations to sell to small shopkeepers, reinforcing the need for the robust assessment solution, already in place. The ExpertRating team had fully understood Walmart’s requirements, and offered solutions that were tailor-made to suit Walmart’s requirements. Consequently, the assessment solution offered by ExpertRating was an instant success, and the need for manual effort at the primary shortlisting level was reduced to bare minimum. The human resource processes at Walmart are now focused only on the candidates who are potentially fit for hiring. The capability to test thousands of candidates—in their native language—each day immensely helped Walmart to quickly shortlist potential candidates for their fast-growing pan-India operations. Additionally, the assessment solution allowed multi-tiered administration, facilitating the monitoring of all important HR activities from India as well as from the US, while the on-the-ground testing was handled by respective area HR managers. Walmart currently uses this testing system pan-India.